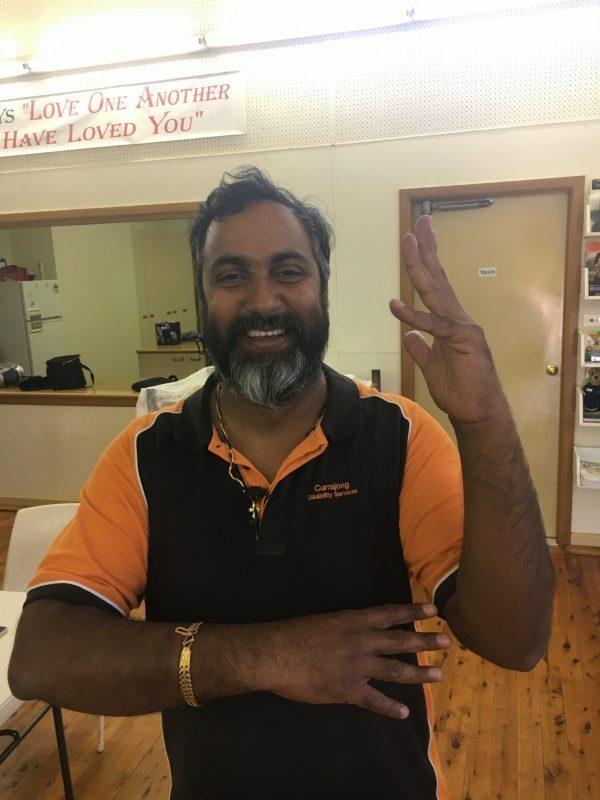 WHEN Sanu Maliyil Sunny and Kylee Martin began their Cert II Auslan Sign Language course a year ago there were five people doing the course. Fast forward 12 months and the CDS support workers were the only two to complete the challenging program. They did this despite balancing family and working life and invested two nights a week each into the course and now have attained their Cert II accreditation as a result. “Every Monday and Wednesday from 5-9pm via video conference Kylee and I would talk to our teacher from Dubbo,” said Sanu. “When we started there were about five people doing the course but only Kylee and I finished it. “I am extremely happy to have another skill as it was a challenging but rewarding course,” he said. Sanu added that it was easier once he learnt numbers and letters. Forming words and sentences was much easier than basic counting and alphabet. “I definitely recommend the course to anyone who wants to go further in the disability sector,” he said. “It is a universal language but some differences do exist between Australian version and other countries (like any language) but most of it is similar. “They also offer an Auslan Cert 3 which I’m planning to do later on,” he said. Well done Sanu and Kylee!